Don’t miss your chance to join the popular Sports Betting Tours at this year’s ICE London connecting you with key sports betting suppliers. 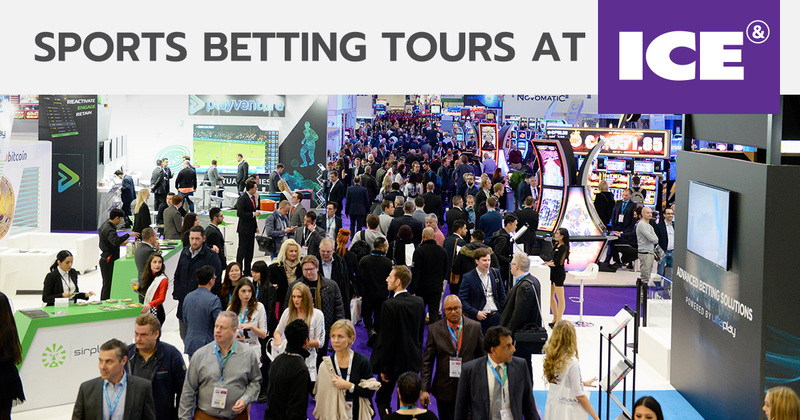 As the Sports Betting industry looks to have one of its biggest year in 2019, SBC will once again organise the popular Sports Betting Tours on Tuesday 5 February and Wednesday 6 February during ICE London. At the start of the tours, SBC’s Managing Director Andrew McCarron will give a short introduction about what to look for in different markets such as the US, and a brief introduction to key sports betting events such as Betting on Football, Betting on Sports, and Betting on Sports America. As part of the Sports Betting Tours, each registered guest will also receive a special gift + a unique 50% discount code for the above mentioned sports betting industry events. Please notice that spaces are limited to 75 guests per tour, and based on very popular demand we recommend that you sign up for the tours ASAP via the button below. Tour participants should meet at the SBC Stand at 10:50 ready for an 11:00 start. The tour will take approximately 90 minutes visiting several of the key sports betting suppliers present on the ICE show floor.